COLORADO, Nov. 17, 2015 – Merrick & Company (www.merrick.com) was recently honored by the American Council of Engineering Companies of Colorado (ACEC Colorado) at its annual Engineering Excellence Awards (EEA) competition. The EEA recognizes engineering projects that demonstrate a high degree of ingenuity and include significant technical, economic, and/or social advancements. The Data Fusion Predicts Habitat Quality project, completed by Merrick’s geomatics group, received an Engineering Excellence Award in the Surveying & Mapping Technology category. The Calumet Montana Refining (CMR) Crude Unit #2 project, completed by Merrick’s energy group, received an Honor Award in the Energy category. Both projects will continue on to the ACEC National competition. The Mojave Desert is home to unique and threatened species, such as the desert tortoise, Joshua tree, and desert cymopterus. 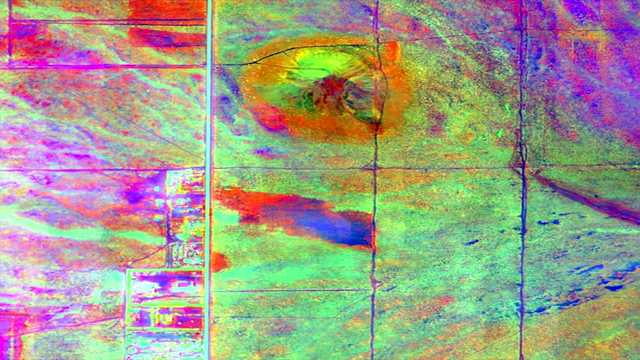 Edwards Air Force Base monitors impacts of its operations in this environment by using multispectral satellite imagery and traditional aerial and field approaches. Recently hyperspectral imagery (HSI) and LiDAR remote sensing technologies have been used for more cost-effective methods to collect, evaluate, and analyze spatial data related to habitat quality. Merrick was on a team led by Johnson-Frank & Associates who held a contract with the U.S. Army Corps of Engineers (USACE), Sacramento District. As the primary mapping consultant, Merrick was responsible for the overall technical implementation, aviation coordination, sensor integration, LiDAR acquisition, and point cloud post-processing. The CMR project expanded Calumet’s crude oil refinery from 9,800 barrels per stream day (BPSD) capacity to approximately 20,000 BPSD with future allowances for achieving 30,000 BPSD. The expansion replaces CMRs existing crude unit with a unit of additional capacity and flexibility. The unit also has the unique ability to process heavy, sour, and high acid content (known as high TAN) crudes. Merrick provided total installed cost estimating, procurement, engineering, and construction support for the installation of the unit from front end engineering design through construction.